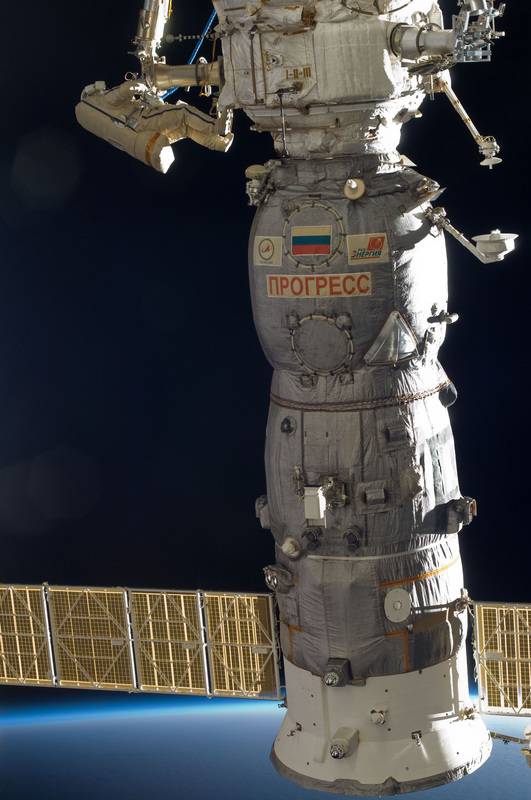 The Russian Progress is an uncrewed cargo resupply spacecraft that is largely based on the manned Soyuz. It is used to resupply Space Stations and was used for the Russian Salyut and Mir Space Stations as well as the International Space Station that receives three or four Progress flights a year. Progress MS represents the latest generation of Progress spacecraft introduced in late 2015 in an upgrade from the Progress M-M spacecraft that was inaugurated back in November 2008, succeeding the Progress M configuration flown since 1989. 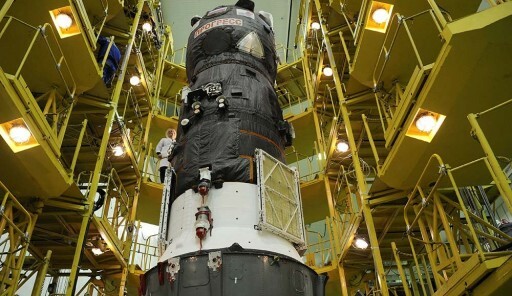 This latest update in the line of Progress spacecraft, also to be introduced on the crewed Soyuz craft, is largely focused on communications and navigation systems that are upgraded using modern electronics. 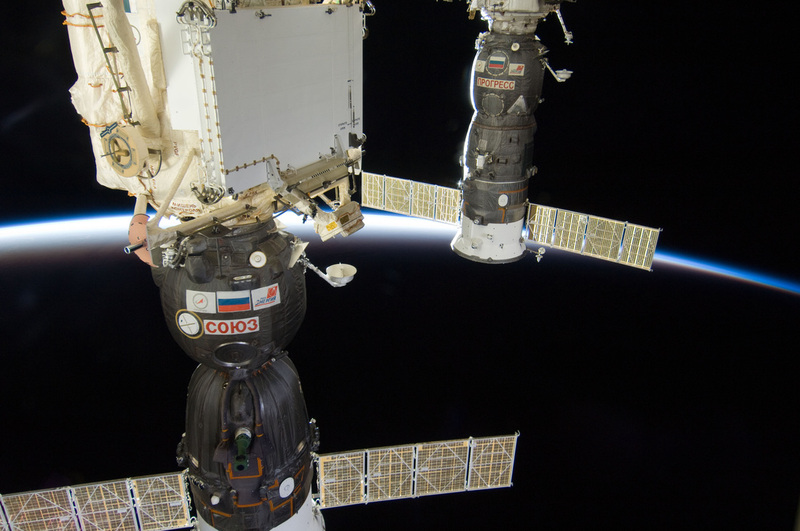 Progress MS introduces a new KURS navigation system, a new radio, the use of GPS/Glonass for navigation, and the use of a proximity communications link for relative navigation. These changes will not significantly change the external appearance of the Progress except for the number of deployable antennas present on the spacecraft and the introduction of external cargo carriers for CubeSat deployments. 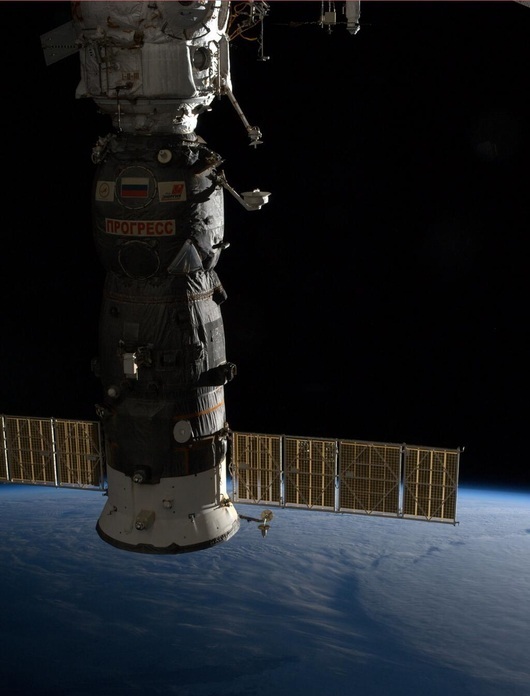 Progress is capable of carrying pressurized cargo in its pressurized cargo carrier and also deliver propellants, water and pressurized gases to the Space Station. 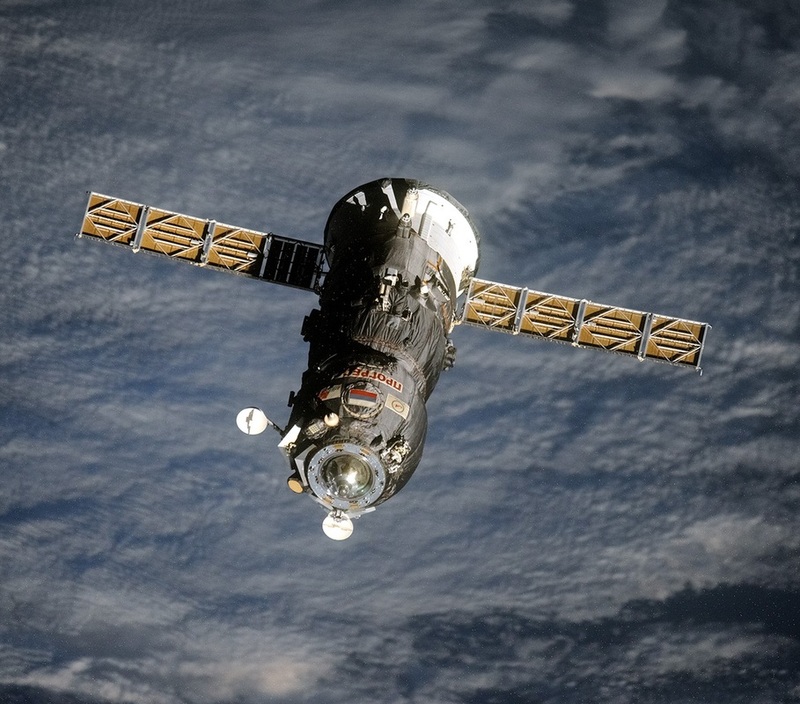 The first progress flew in 1978 to the Russian Salyut 6 Space Station. Since then, Progress was upgraded multiple times, going through a number of generations with its most recent generation flying under the designation of Progress MS.
Progress MS has been designed to launch atop the upgraded Soyuz 2-1A rocket that will allow the craft to carry a greater cargo upmass to the Space Station. 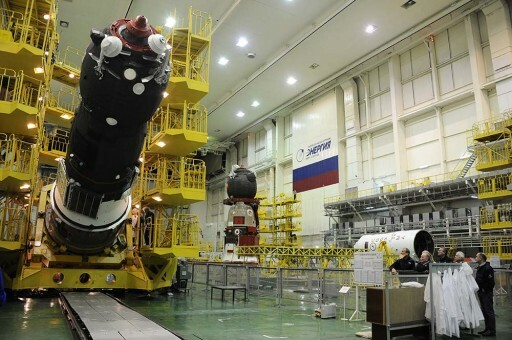 The spacecraft is still compatible with the Soyuz U rocket that is being phased out in a soft transition to the newer version, alternating flights between the two to iron out any problems with no significant interruption of the supply chain to ISS. Progress spacecraft can dock to any port on the Russian Segment of the International Space Station, but usually use the Pirs docking compartment and the aft docking port on the Zvezda Service Module. 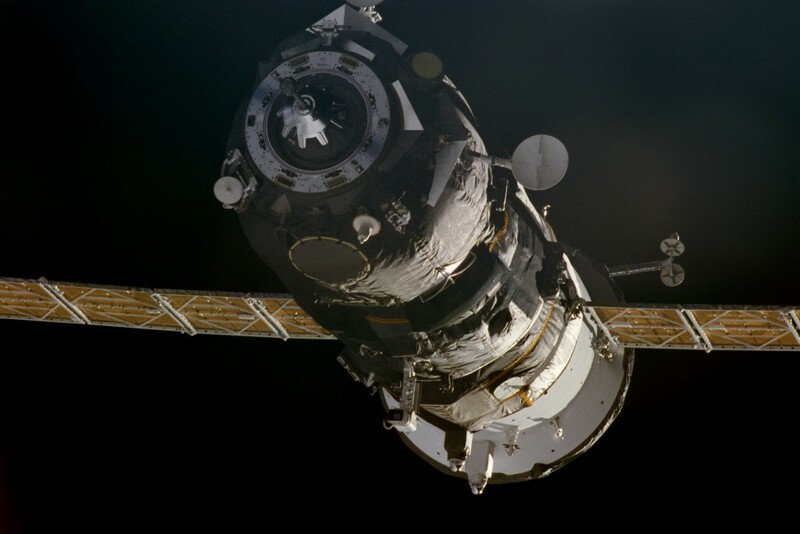 The upgrade from Progress M-M to the MS version of the spacecraft is not significant when looking at the external appearance of the spacecraft which has not undergone significant changes since the craft’s introduction in the 1970s. though internally, the MS version features a number of significant changes. However, it should be noted that some of the changes from Progress M-M to Progress MS will not be introduced at once. 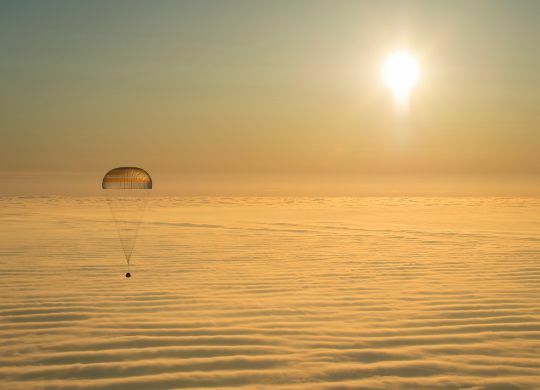 Some upgrades are introduced sequentially and in some cases new and old systems are flown together to be able to use the flight-proven system as a backup in case of issues with the newer systems. The same is true with the Progress M-M to MS upgrade since Soyuz makes its transition from the TMA-M to the MS version about half a year after the Progress – providing an opportunity to identify and correct any deficiencies in the uncrewed spacecraft for an overall reduction of risk. Major changes introduced by the MS upgrade of Progress include the replacement of the Ukrainian-built Kvant-V radio communications system with a Unified Command Telemetry System, ending Russia’s reliance on the Ukraine for the production of antennas, feeders and communication electronics. 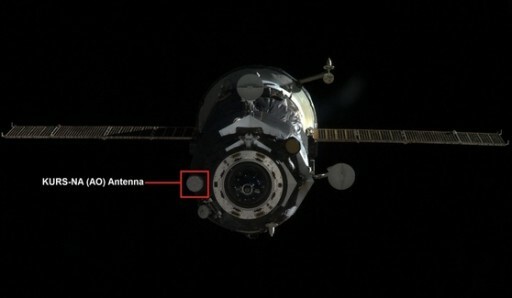 Furthermore, the new telemetry and command system of Progress MS is capable of using the Luch Geostationary Communications Satellites to relay telemetry to the ground and receive relayed commands during the portion of its orbit not in range of Russian ground stations. 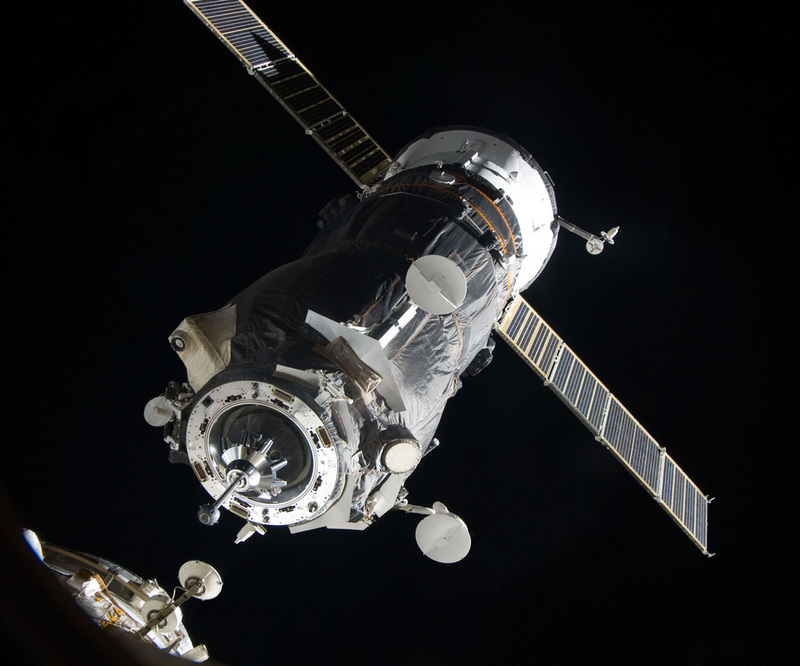 Another communications upgrade of the MS series is the implementation of a Proximity Communications Link established with the Space Station during rendezvous to enable relative navigation as an additional source of navigation data. Progress MS is outfitted with GPS and Glonass receivers for accurate time determination, state vector calculation and orbit determination – allowing a more accurate targeting of burns, even by the spacecraft itself, no longer relying on radar tracking that is only possible during ground station passes. 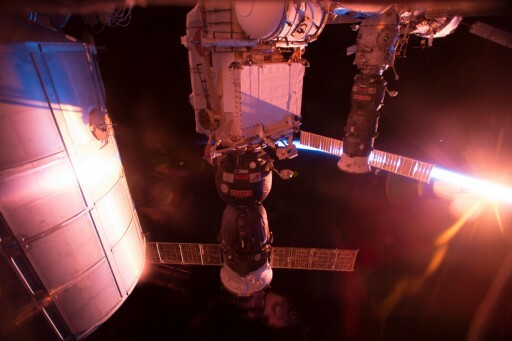 Progress MS also hosts an improved camera system and uses digital video transmission to deliver a better image quality to the Space Station and the ground to follow the rendezvous and use the video & data overlay for remote-controlled operation of the spacecraft if needed. The improvements made to the flight control system, onboard software and communications systems will also permit the switch from analog to digital video transmission for improved video quality during proximity operations. 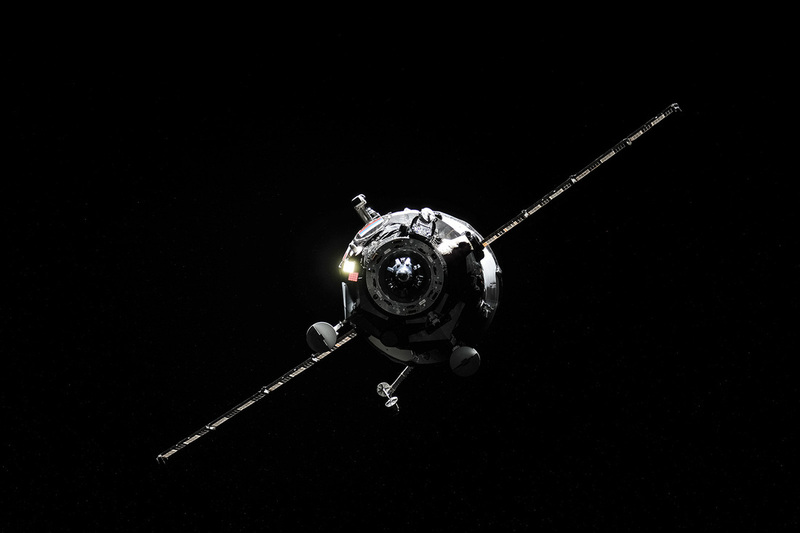 The KURS Navigation System makes a significant improvement in the newest generation of Russian Progress and Soyuz spacecraft, stepping away from the KURS-A system and implementing a new digital KURS-NA system. The KURS System of the Progress and Soyuz Spacecraft is a radio-based system that allows the vehicles to perform a fully automated Rendezvous, Final Approach and Docking Sequence. KURS uses signals sent from the target vehicle that can be received by several antennas on the chaser vehicle to determine its line-of-sight and pitch angles for the far-rendezvous beginning at 200 Kilometers and pitch, heading and line of sight angles as well as range and range rate during the close rendezvous. The KURS-NA eliminates any Ukrainian-built components from the system and provides an overall weight reduction while increasing the capabilities of the system. 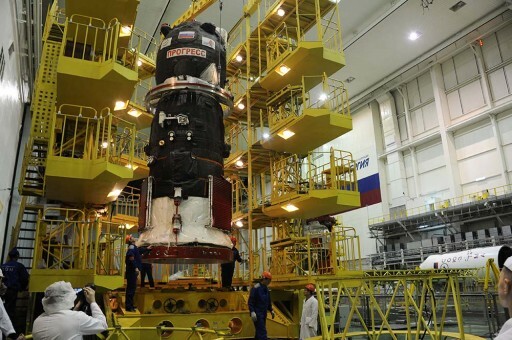 KURS-NA needs only one antenna and will deliver more accurate measurements to bring Progress and Soyuz craft to a fully automated docking with the Space Station. Externally, the Progress MS introduces the capability of releasing CubeSats from external deployment mechanisms. Up to four launch containers for small satellites can be facilitated in each external compartment. Also on its exterior, the Progress MS vehicle hosts additional Micrometeoroid and Debris Shields to provide protection to the pressurized cargo module against impacts of small objects. 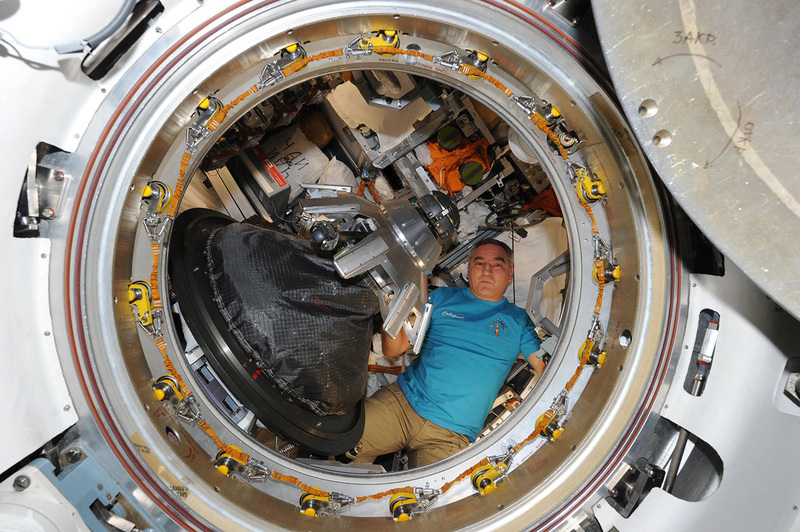 To increase the reliability of the spacecraft, a backup drive mechanism is introduced within the docking mechanism. Progress Spacecraft are launched atop a Soyuz-U (Soyuz 2 starting in 2015) rocket that delivers the vehicle to orbit in under nine minutes. After separating from the booster, the Progress deploys its solar arrays and communication antennas to complete is orbital insertion process. From there, Progress sticks to a nominal 34-orbit rendezvous profile to link up with the International Space Station. A fast Rendezvous profile that takes Progress to ISS in just four orbits is also available, but requires certain orbital dynamics and precise injection by the launch vehicle.